Is this vest still a comfy fit without using ballistic plates? I would like to order several HVV2 body armours for my security team, can you produce bespoke designs? Our recently developed hi viz bullet resistant vests model HVV2 is currently being worn by Campus Police and Law Enforcement Officers (LEO) primarily operating in public areas where a ‘highly visible presence’ is paramount. 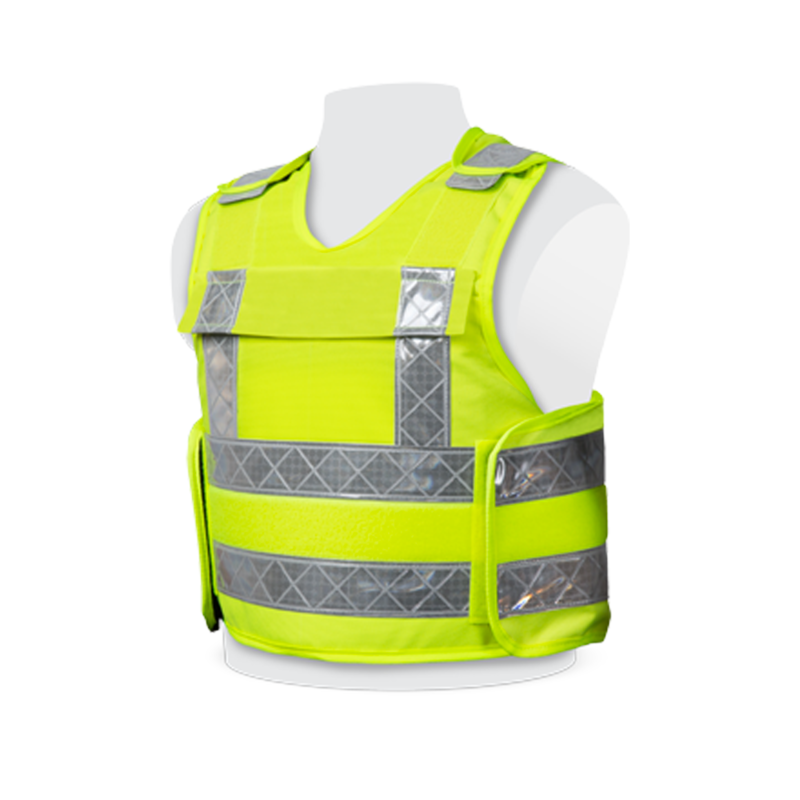 Offering not only NIJ Std 0101.06 Level IIIA certified ballistic protection, our hi viz bullet resistant vests also protect the wearer from full contact shots as required by the FBI and the infamously stringent German Police body armour test protocol. Official test reports are of course available upon special request. The ballistic protection can easily be increased by adding NIJ Level III or IV ballistic plates into the 250x300mm front and rear pockets. Please also read our information on our Hi Viz STAB resistant vests.